We know your child’s health, safety, and comfort are your highest priorities. As a result, our pediatric dentists, Dr. William Chan, Dr. Denise Goodman, Dr. Nick Lavoie and our close-knit team of friendly and knowledgeable dental professionals will treat your family with the same care, consideration, and devotion as we would our own. We are dedicated to providing a superior dental experience; one that prevents damage and caries, addresses individual concerns, and encourages your young one to joyfully adopt routine habits that will help to ensure lasting oral health. Furthermore, our relaxing office environment and gentle techniques establish anxiety-free appointments for both you and your children. At William Chan & Associates, personal attention, compassionate care, and exceptional treatment are the cornerstones of our philosophy. Achieving proper occlusion can deliver a beautiful, harmonious smile as well as remedy a wide range of dental concerns that could affect speaking, eating, sleeping, and other essential activities. At William Chan & Associates, we utilize modern orthodontic techniques designed to provide the fastest, most effective results possible while keeping comfort a primary focus. Dr. Ben Chan, our friendly and experienced board-certified orthodontist, prioritizes education, communication, and compassion with every patient, whether the treatment is for your child or for yourself. At our practice, kids and teens are encouraged to be active participants throughout the adjustment process, because responsibility can cause a ripple effect that leads to enhanced well-being and an improved outcome. In the end, we believe a beautiful smile should be seen, and we will work with you to ensure your complete satisfaction. Best dental office for little kids ever!! Dr. Goodman is understanding, kind, and patient. I trust her to do the right things for my kids when it comes to treatment. Highly, unequivocally recommend. Everyone at Dr. Chan’s is very friendly and professional. 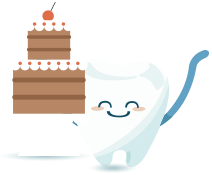 My son has been coming here for few years and we have always been happy with every hygienist we’ve seen and the front desk staff are always wonderful too. I would highly recommend them! Starting dental education early can make a huge difference. 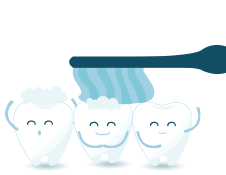 Our goal is to work with you to create happy healthy mouths for years to come. Make your child's first appointment on or around their first birthday. Decay can begin as soon as their baby teeth start to erupt. If your child goes to bed with a bottle or sippy cup, it should contain only water. 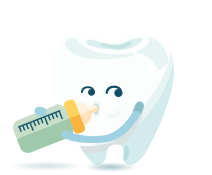 Juice, milk, and formula have sugars that can accumulate around teeth and cause decay. Start brushing your child's teeth as soon as they erupt with a soft bristle brush and water. Once they can spit, a small amount of child's toothpaste can be used.